Are My Solar Panels Working Properly? If you have noticed your solar panel system is not delivering the energy it was supposed to, you are not alone. 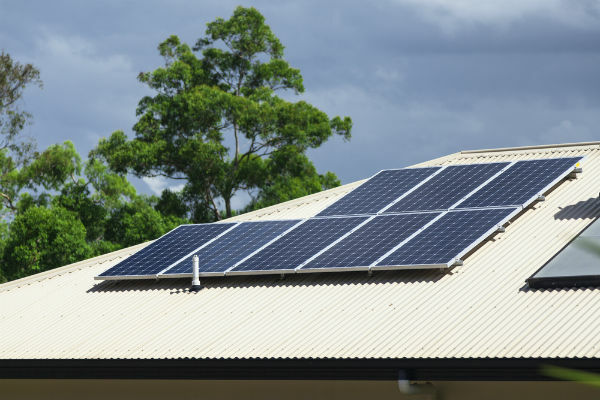 According to government data, more than half of Australia’s residential solar systems perform below the standard they’re supposed to. And even worse, about 14% of the country’s solar systems develop a major fault every year and stop working altogether. Most of these faults go undetected until home owners receive an electricity bill spike. Literally, every day that ticks by undetected costs the home owner money. Inverter faults account for almost 50% of major solar system failures. Typically when an inverter fails, the whole system shuts down and produces zero energy. There are many potential causes of iverter failure, and these will generally require a qualified solar electrician to rectify the issue. Fortunately inverters have a 5 to 10 year warranty, so you should be able to get these faults fixed for free under warranty. Microfractures, also known as microcracks, represent a form of solar cell degradation, are small cracks that can appear in solar cells. Some microfractures can span the whole surface of the panel, whereas others appear in only small sections of a cell. These cracks can affect both energy output and system lifetime of a solar PV system. Microfractures occur within cells and cannot be fixed without replacing the module. Care should be taken in determining whether the cracks are severely affecting the system performance, as it is not cost effective to replace well-performing modules. Although solar panels have an astonishing 25 year warranty and have been designed to last for even longer, there are many issues that can cause early failure. Most of these issues cannot be detected with the naked eye and require sophisticated analyisis to identify and diagnose why the panel is producing less energy than it should. The position of the solar panel also affect how much energy they produce. In the Southern hemisphere, the optimal direction, or panel orientation, is due North. Facing the panels east or west will reduce the energy output by about 15%, although this can be a wise decision to maximise early morning or late afternoon energy generation to maximise your self consumption of solar energy. The pitch or tilt of the solar panel will also affect how much energy is produced. The optimal tilt for Sydney is approximately 30’, however even a tilt as low as 5’ or as high as 45’ will only cause less than 10% loss of energy. The amount of energy produced by a solar panel is approximately proportional to the amount of sunlight, so sunnier climates will generate more energy. However, solar panels also produce slightly more energy in cooler weather, and hence slightly less in hotter environments. The temperature impact is much less significant than the increased sunlight, so places like Alice Springs will generate significantly more energy than say Melbourne, even without the cloud. Australian solar panels are usually placed on roofs, since they can stay unobtrusive and receive the maximum amount of sunlight. However, it is not always possible to get a 100 % clear view of the sky, as trees or other homes or buildings can create shade over the panels during different times of the day. Owners will have to ensure that they install solar panels in a place with the least amount of shade, especially during peak times. How do I detect if my panels are working properly? The Solar Analytics Smart Monitor keeps track of your solar energy system’s performance in real time (live five second data) and measures against a number of benchmarks, including local weather data. Home owners can measure not only how much energy your system is generating on any given day, but how much more energy it should be generating, and what you can do to improve it. The Smart Monitor will also measure your household energy consumption, showing you the smartest time of day to turn on the pool pump, or turn off the hot water. Most Australian solar panels have a 25-year warranty, and solar inverters have a 5-10-year warranty. Our active monitoring will help you get any faults rectified quickly while still under warranty. Having a problem with your system that you don’t understand? Relax! You have access to our friendly local technical support line. We’re happy to help. We are Australian Photovoltaic Engineers, Software Developers, Scientists, Solar Technicians and Designers, all passionate about sustainable energy and the power of solar. My daughters house in Craigieburn, Vic, had two panels installed for the hot water service. About one year later, I was on the roof checking the TV antenna when I decided to check on the solar panels. What I found was about millimeter thick layer of dust on both panels. I immediately got a hose and a light detergent to clean it. Layers of dust can drastically reduce the efficiency of the panels and need to be checked and cleaned regularly. Your comment has not been posted. Please confirm you are not a robot.